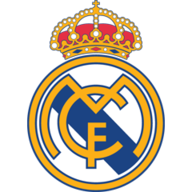 Santiago Solari's first La Liga game in charge of Real Madrid ended in a 2-0 victory against Real Valladolid at the Bernabeu, but they were made to wait for the win. Madrid squandered several chances and lived dangerously at the other end as the visitors twice hit the crossbar in the second half. However, Solari's side finally made the breakthrough in the 83rd minute through Kiko's own goal before captain Sergio Ramos scored from the penalty spot two minutes from time. It was Real Madrid's first win in six league matches and halted a three-game losing run in the competition. Solari was in charge of his first league fixture in a caretaker capacity, following the sacking of Julen Lopetegui. Last weekend's 5-1 Clasico defeat signalled the end of the former Spain manager's reign. Solari, who began with a 4-0 victory against Melilla in the first leg of their Copa del Rey tie, made three changes from Lopetegui's starting line-up that went down so heavily at the Nou Camp. Injuries forced Marcelo and Raphael Varane out of the team, so Nacho played at centre-back as Sergio Reguilon and Alvaro Odriozola came in to play left and right full-back respectively. The other change was in attack as Marco Asensio was preferred to Isco. Asensio was involved straight away as he slipped a pass behind the Valladolid defence for Karim Benzema, but he rolled his shot wide of the far post from the left side of the penalty box. Reguilon floated in a cross for Gareth Bale and the Wales international should have done better than send his header straight at the goalkeeper. Casemiro then missed the target with his header from a Toni Kroos cross as Madrid dominated early on but were wasteful in front of goal. Reguilon sent in another dangerous cross from the left and this time Benzema's diving header was straight at Jordi Masip. Casemiro was denied again as Kroos's corner found the Brazil international near the six-yard box, but his header was directed right into the hands of Masip once again. 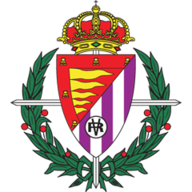 Valladolid, back in Spain's top division for the first time since the 2014, had their first opportunity shortly afterwards when Ruben Alcaraz's pass put Antonito through on goal but his chip over the advancing Thibaut Courtois also cleared the crossbar. Bale put another header narrowly wide just before half-time as Real Madrid continued to waste chances. When Masip was finally beaten by Benzema's low shot, Fernando Calero was on hand to clear the ball from just in front of the goal line. Casemiro's follow-up effort was then smothered by the keeper, who showed good reflexes, as the hosts continued to be frustrated. Valladolid captain Javi Moyano went close just before the hour mark when his deflected shot struck the crossbar, while Toni Villa curled a shot beyond Courtois but against the frame of the goal. Madrid made the breakthrough after 83 minutes in fortuitous circumstances. Vinicius cut into the penalty area and curled a tame shot towards goal which took an unlucky touch off of the back of Kiko and the ball flew past Masip into the net. Ramos sealed the victory and the three points in the 88th minute when he coolly scored from the spot after Calero had brought down Benzema.